The RimStory Mod will allow you to focus more on the story. Remember when did your first colonist die, the first marriage in the colony, all the raids… or even how one guy who barely knew medicine rescued all his pals. The RimStory Mod logs all important events of life in a colony life. For example: deaths, marriages, epic battles and failures as well. The colonists will organize anniversary parties, raise their glasses for their fallen comrades on the day they have died and so on! The RimStory Mod should be compatible with pretty much everything. But if you are using the Psychology Mod, please turn of the funerals event on this mod’s settings. Available in English, Polish, Japanese (by Proxyer), Russian (by GidReess), German (by Lauri7x3) and Chinese (by Gretino). 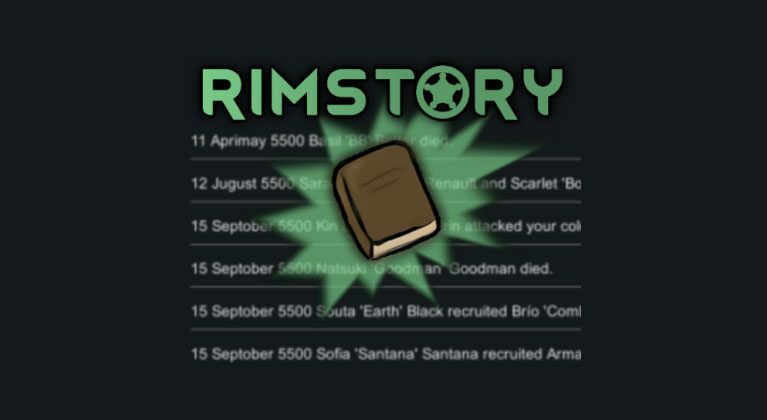 If you’re one of those people who really care about the story that’s going on behind your colonists, the RimStory Mod is a must. Colonies can last for years and it’s hard to remember all the key moments that made it become what it is today. Now you can look back at the records and recall all the good (and not so good) times!